meeting of an English traveler and an enigmatic elderly Frenchwoman on an Aegean island. 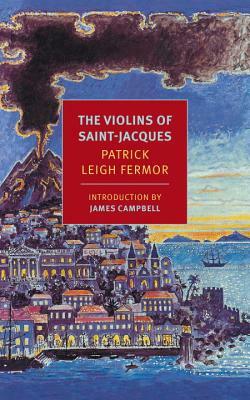 He is captivated by her painting of a busy Caribbean port in the shadow of a volcano, which leads her to tell him the story of her childhood in that town back at the beginning of the twentieth century. The tale she unfolds, set in the tropical luxury of the island of Saint-Jacques, is one of romantic intrigue and decadence involving the descendants of slaves and a fading French aristocracy. Then, on the night of the annual Mardi Gras ball, a whole world comes to a catastrophic and haunting end. James Campbell is the author of several works of nonfiction, including Invisible Country: A Journey Through Scotland, Exiled in Paris: Richard Wright, James Baldwin, Samuel Beckett and Others on the Left Bank, and Syncopations: Beats, New Yorkers, and Writers in the Dark. He writes the weekly NB column in the Times Literary Supplement under the pen name J.C.